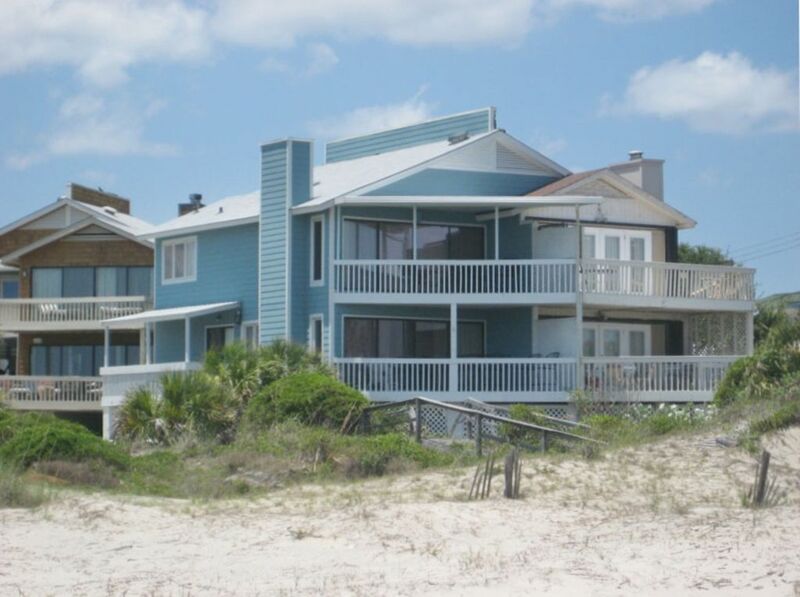 This lovely oceanfront town home located on Tybee Island's south end features panoramic views of the Atlantic Ocean and Little Tybee Island. While still maintaining its close proximity to all the islands wonderful eateries, shops and activities it has a feeling of isolation that promotes its tenants to sit back and relax on their vacation. This 2 bedroom, 2 bath home is beautifully decorated and full of all the amenities that you would expect in a top notch rental. For fastest response, please text 912-398-2300. We stayed in this rental a few times, some years ago, but lost track of the listing. Recently we rediscovered it on VRBO, so we rented it again for our visit to Tybee Island. Like other renters mentioned, it is somewhat well worn, but neat and tidy. It could use a little sprucing up - like a fresh coat of paint on the cabinets, and whatnot, but we were very comfortable and it had all the essentials we needed. More importantly: That View! Very expansive and absolutely gorgeous. There is a deck off the living room and also the master bedroom upstairs; along with the view, you can hear the waves. The master bedroom is nicely appointed (though the bed is set pretty high for anyone with mobility issues. Also regarding mobility issues, there are quite a few stairs inside to the rental and also to the upstairs bedrooms). The beach is literally steps away. Being on the far south end, it is less busy and noisy, and you can walk easily to watch the sunset in the evening - which is stunning. Though we were removed from the congestion, it is still an easy walk to bars, restaurants, and shops. There are also cabs that we took one night, and found them reliable. Betty was very easy to work with and responsive to communications. We had a wonderful time and, now that we rediscovered "Home on the Ocean", look forward to visiting again sometime soon! This is by far the best location for a Tybee vacation! Easy access to the beach, amazing views and quick walk to shops and restaurants. Comfortably stayed with our 3 young children (bunked in one room). If you’re looking for new, fancy updating- this is not the place for you. Clean, basic and well stocked. We loved our stay at the Home on the Ocean at Tybee. The only thing that could be improved is the condition of the Home, it is older and could use to be updated, but everything was clean. The view and location were excellent. We loved waking up and hearing the ocean. We had a great time on the Island and enjoyed the "Southern Hospitality". The home and the owner are lovely. VRBO is a greedy, badly organized, corporation I will NEVER use again or recommend. Go out of business. Property had everything we needed. Beautiful views. Very clean. Awesome vacation spot with amazing views !! !